Spring is the perfect time of year to get out, shake off that winter chill, and come alive in the warm weather. Feeling the sun on your skin is one of the reasons that people love to get outside and start doing spring time activities. Lots of towns throw festivals so everyone can have fun together, not to mention all the poolside parties and grilling that starts up again! Another thing people love to do at the beginning of spring is plan to start a garden. Gardens are great because they can push you to learn how to do something new and in return, you get a gorgeous garden to look at. If you grow vegetables, you can even eat from your garden too! That brings along a sense of accomplishment that can’t be compared to anything else, so if you want to garden this year, start the planning process by thinking about your theme. Garden themes are all different because they can become so personalized based on things like how big your garden is or what you’ll be growing. A good theme you can always use is a Bohemian one. Bohemian trends natural incorporate lots of nature and encourage feel-good vibes, so they fit right into gardening. Check out some ideas about how you could have a Bohemian themed garden this spring so you can get past planning and on to actual gardening. Bohemian bedroom themes typically have lots of fairy lights strung around windows or above beds. There’s something about the tiny, warm lights that provide comfort and relaxation. 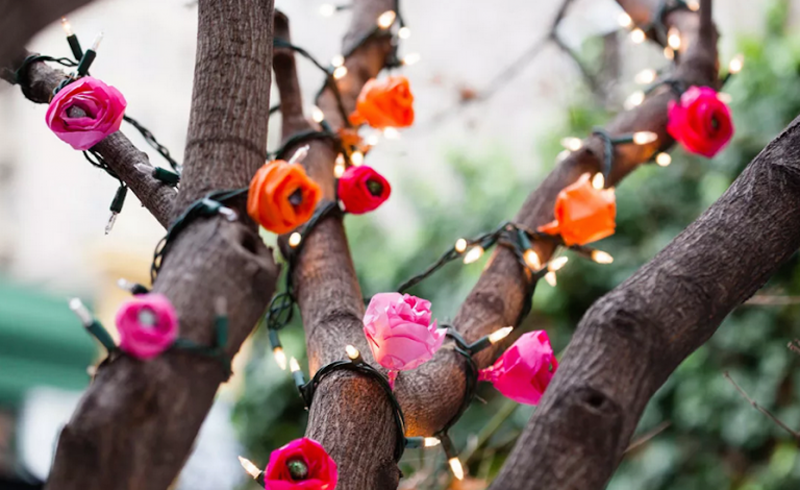 Work them into your garden by using an extension cord to weave them around your garden’s fence or around tree limbs that hang over your plants. Just remember to always turn them off at night, so you never risk any fire damage to your garden or your house. Another great way to incorporate a Bohemian feel to your garden is to include a place to relax. This will work especially well if your garden is focusing on flowers or greenery, because the planets will really help the aesthetic. You can work patio designs into a seating area by trying to hang a swing chair in your garden or other outdoor furniture. There isn’t just one Bohemian theme that everyone has to work with. There are other design themes within the Bohemian feel that you can use to make your garden pop with life and color. Shabby chic Bohemian designs can be made with materials like thrift store items. A beachy Bohemian garden would use things like scattered shells or light sand. 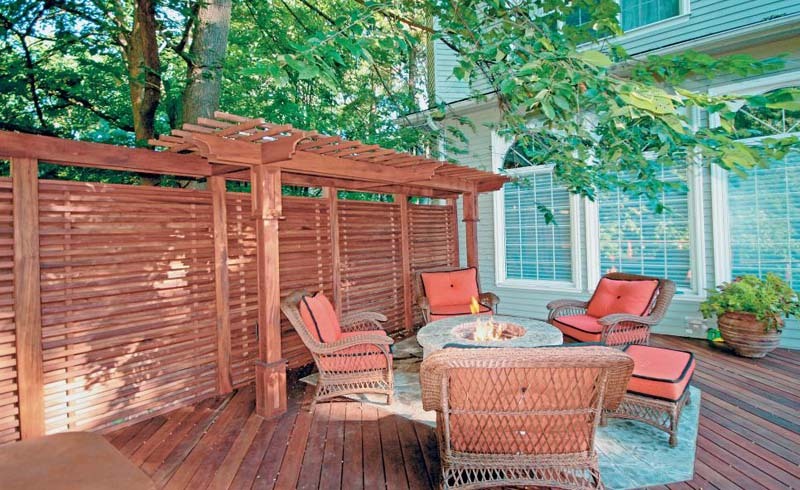 You can also have a tropical Bohemian getaway by making a fence out of bamboo. It’s the little details that will really bring your theme to life. Spring afternoons will be the perfect time to be out in your garden, relaxing with a good book or a glass of lemonade. But what happens when those cooler spring evenings come in? Keep your gardening as welcoming as your Bohemian theme by installing a patio heater. With just one heater, you’ll stretch the use of your garden well into each night and the fall season, so you’ll really get your money’s worth out of the effort you put into your garden. Your garden might end up being big enough that you don’t know how to use all the space you have. That’s when you can blend it with how you’ll be using your outdoor space in the summer. Take your time to shop around for eclectic furniture to pull out that Bohemian feel while drawing people in with stunning visuals. Think about taking advantage of all the levels you can use by getting short and tall tables or chairs. If everything’s the same height and make, you’ll skip from a Bohemian to a modern theme. You want to make your garden look as comfortable and welcoming as possible, so make sure to add amenities that other gardens won’t have. Plant your flowers or vegetables around a hangout area, and then cover that hangout area with the best rugs. Rugs, candles and pillows will make anyone in your backyard feel like they’ve come home when they enter your garden. Succulents are an excellent addition to any garden because they won’t take up root space in the ground, they don’t require much care and you can have many in one place. They’re also perfect for Bohemian themes because they’ll make it look like the plants have taken over the garden. Place them between plants or on tables in unique planters and you garden will be able to call itself home to a big plant family. When you think of a garden, you probably don’t picture having shelves, but they can prove to be not only useful but also perfect for a Bohemian theme. Choose something rustic or thrifted and paint it a vibrant color, then store plants or garden supplies on the shelves. If you bring in bright colors, the shelving will look right at home inside your Bohemian garden. You might be torn between different ideas for how you’re going to plan your garden this year. Spring is the perfect time to think about all your design choices and what you’re going to plant, so why not go with a Bohemian theme? You’ll already have half of the work done! Bohemian themes love to include lots of greenery and plants to give any place an earthy touch, so a garden would be the perfect place to have a Bohemian feel. The way your garden ends up is up to you, so pay attention to the small details that really complete a Bohemian theme. Little things like what pots you use, what materials you build with and the furniture you pick out will all affect how Bohemian your final result really is. Have fun looking around for inspiration online and then enjoy creating the Bohemian garden of your dreams.